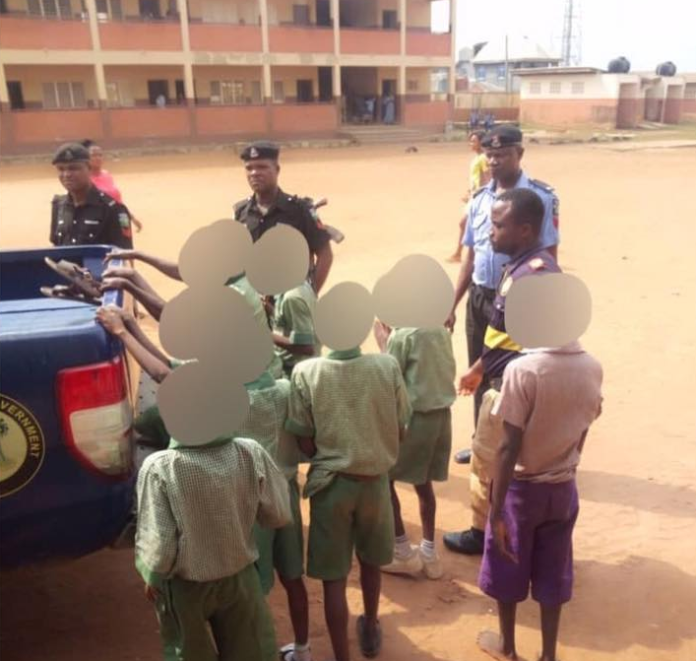 As the story goes, about 12 students between the ages of 6 and 16-years old; including a 16-year-old girl were rescued by the police following a tip off by the Guidance and counseling teacher at Egan Community School, Lagos; who uncovered the cultists’ initiation ceremony plan. The school comprises both primary and secondary schools. Story has it that the teacher had noticed a particular incision on the lower jaw of some of the students and decided to probe which resulted in one of the children confessing that any school pupil or student seen with the mark was a member of the Awawa cult group. Confirming the story, the Lagos State Commissioner of Police, Imohimi Edgal stated that acting on the report they received, he directed the Gender Section of the Command to investigate the allegation of the initiation into an unlawful society as it affects 12 children whose ages ranged from 8 to 16 years; the 16-year-old girl being the oldest and only female among them. Edgal told that during interrogation, the girl confessed she did take the rest of the children for initiation, and that the symbol on their jaws was that of the Awawa Boys. The rescued children are said to be undergoing psychology tutorial at the command’s Gender Unit presently.